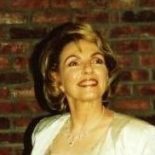 Mary Ellen McCarthy | Lloyd Maxcy & Sons Beauchamp Chapel, Inc.
Mary Ellen (Kennedy) McCarthy passed away at age 78 in the loving arms of her daughter, Therese at Morristown Medical Center in New Jersey. Mary Ellen was born January 28, 1939 in New Rochelle to the late Lillian (DeGuiseppi) & Andrew Kennedy. She graduated from Blessed Sacrament Grammar School, and St. Gabriels High School. She earned her Registered Nurses Degree from New Rochelle Hospital School of Nursing in 1959. Mary Ellen went on to pursue a long career in nursing for over 40 years. Mary Ellen was born to be a nurse and worked at New Rochelle Hospital Medical Center for the majority of her career. She had the great privilege to care for her terminally ill parents. After that experience, she was drawn to spend much of the remainder of her career caring for patients in a hospice setting. Mary Ellen was a lifelong resident of New Rochelle until she moved to New Jersey to reside with her daughter and son-in-law who loved having her there. Mary Ellen remained close friends with the nurses of her graduating class and cherished her friendships with each and every one of them. She looked forward each year to the luncheons with her classmates where they would sit and tell stories, reminisce, eat and laugh all day. Mary Ellen was pre-deceased by her parents Andrew & Lillian Kennedy, beloved son Joe McCarthy, and her brother Andy Kennedy. She leaves behind her daughter Therese and her son-in-law John Merlino, her sister-in-law Carole Kennedy, nieces Julie (Rob) Gray, Jennifer DiNardo, and nephew AJ (Theresa) Kennedy. She also leaves behind cousins Pat Kennedy, Mary Jane Anderson, Kathrine Lacroix, Carol Ann (Russ) Jones, Anthony (Marion) Saturno. She was always so happy around her nieces and nephews and so proud of her great nephews Robert Gray, Tyler Gray, Drew Kennedy, & Jarrett DiNardo. Visiting will be on Friday from 4-8pm at Lloyd Maxcy & Sons Beauchamp Chapel, 16 Shea Place, New Rochelle, NY. A Mass of the Christian Burial will be celebrated on Saturday, 10:30am at Blessed Sacrament Church. Interment is private.